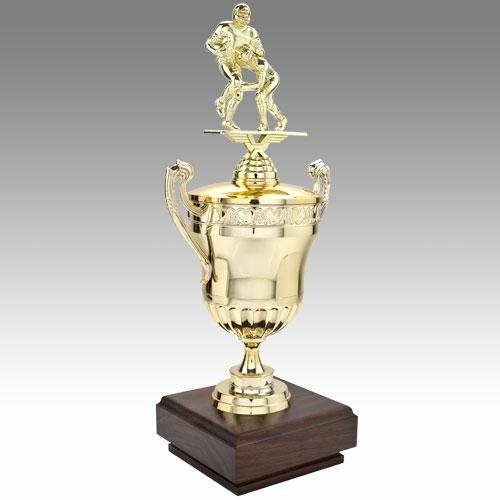 This impressive trophy takes custom to the next level. 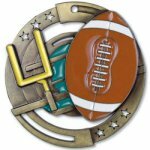 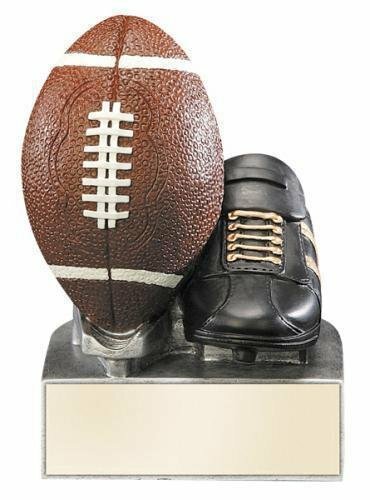 A sturdy 6" riser supports the topper that features a full color football and an area that can be customized in full color with your school or team logo, a photo, or whatever you choose. 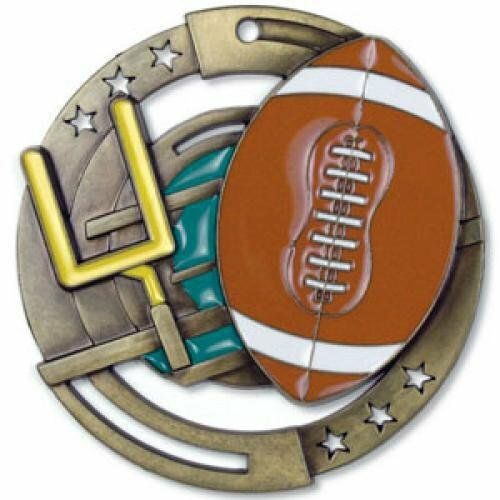 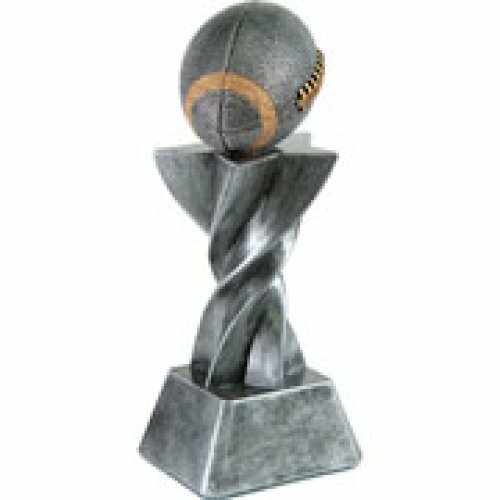 The top of the trophy is embellished with 4 gold rising store footballs, while 4 16" columns add height and surround another full color football at the bottom. 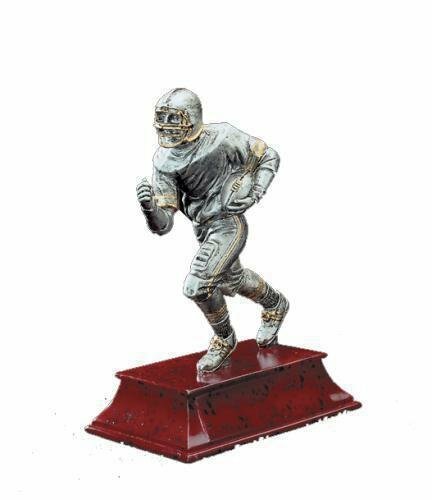 The base has ample room to personalize for your event to finish off a beautiful trophy that any team or individual would be proud to be awarded.